Print up to 15ppm (Mono). We will always go out of our way to source the product you are looking for. USB & Parallel connections. Product Brochure (PDF) Add to Favourites. Product information FS-1041 Compact and Quiet Mono A4 Laser Printer. Very quiet operation (silent when sleeping). Resolution 1,200 dpi quality (1,800 x 600). Small footprint for tidy and convenient desktop installation. 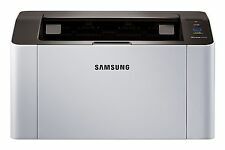 Samsung SL-M2026 A4 Mono Laser Printer. It boasts a print resolution up to 1200 x 1200 dpi and a printing speed of 20 A4 pages per minute. A very useful feature is the support manual two-sided (duplex) printing, which saves paper costs. HP PHOTOSMART 335 COMPACT PHOTO PRINTER. Lightweight, compact design; Windows and Mac compatible. One USB port and four. Sharply detailed. USB CABLE. Take it to parties or on vacation to print almost anywhere. USB 2.0 & Parallel connections. Print up to 20ppm (Mono). We will always go out of our way to source the product you are looking for. Add to Favourites. A3 Printing. USB & Parallel connections. We will always go out of our way to source the product you are looking for. Add to Favourites. This is high quality printer using thermal function for print photo in less then 60 sec. Printer was just tested not used more then once. Box can show signs of use. In genuine box and cables, all papers. This desktop friendly printer providing crisp, high quality text quickly, and quietly. Compact A4 mono laser printer. With the large 250 sheet paper tray, you no longer need to refill the paper tray as regularly. Built-in cutter: Yes. Software included: P-touch Editor 5.0, Printer drivers, User guides. BROTHER QL-700 Label Printer. Print technology: Thermal. Type: Label printer. - Compact size saves desktop space. Produce high quality prints of up to 4800dpi using the Canon PIXMA MG2550. This space-saving all-in-one printer, scanner and copier automatically turns on when you start printing and turns off when not in use, saving you energy. Party Shuffle mode even lets you connect multiple smart devices for brilliant mixed collages of pics from your friends. In less than a minute, you’ll pump out professional-looking photos. Protected from splashes, spills and fading, each snap is backed by Canon’s dynamic dye sublimation technology. OEM HL1210WVBZU1. Compact Mono laser printer. Mono/Colour Mono. Printer Type Laser. Colour Light Grey/Dark Grey. Kyocera ECOSYS FS-1120D, Compact Mono Laser Printer. "Get the job done, professionally and economically, with the FS-1120D as the personal compact printer for individual users. - Compact design, robust and dependable. Invoice can be provided. Canon Selphy CP760 Compact Photo Printer. Good condition. Full working order. Includes all leads, chargers etc. Software CD-ROM and instruction manual. 1 packet of unopened photo paper (5 or 6 sheets) There is ink in it but not sure how long it will last so will probably need more ink cartridges. Does not include SD card. Selphy CP1300. Print straight from compatible smart devices with Apple AirPrint TM (iOS) and Mopria TM (Android) support or use the Canon PRINT app. Create unique collage prints of an event to share with family and friends using images captured simultaneously from multiple smartphones using the ‘Party Shuffle’ feature via Canon PRINT app. Lexmark B2546dw A4 Mono Laser Printer. Lexmark's comprehensive approach to product security is a design and engineering mandate across our entire product portfolio. And this Lexmark product enables you to be GDPR ready. CANON SELPHY CP400 COMPACT PHOTO PRINTER, BRAND NEW BUT OPEN BOX. This desktop friendly printer, provides crisp, high quality text quickly, and quietly. With the large 250 sheet paper tray, you no longer need to refill the paper tray as regularly. The HL-L2310D, has been designed to sit on your desk, printing quietly at full speed while you work without interruption. Compact A4 mono laser printer. 150 sheet paper tray. The printer is ideal at the front desk of a hospital or in the box office of a movie theatre. Product Model: Compact4. Product Type: Direct Thermal Printer. Product Family: Compact Mark II. Product Series: Mark II. CANON SELPHY CP530 COMPACT DIGITAL PHOTO PRINTER . New condition but open box. Item is fully functional. HP LaserJet Pro P1006. 1 xHP LaserJet P1006. Fast 16 Pages Per MinuteUSB A4 Mono Laser Printer. Compact Desktop Mono Laser Printer. Up to 16ppm Mono Print. Warranty ; 6 Months RTB Warranty. 9 Seconds First page. HP P1102 Mono A4 laserjet printer. A basic no nonsense workhorse black and white laser printer with a really small footprint. HP LaserJet Pro P1102. 1 xHP LaserJet Pro P1102. Fast 18 Pages Per MinuteUSB A4 Mono Laser Printer. Compact Desktop Mono Laser Printer. Up to 18ppm Mono Print. Warranty ; 6 Months RTB Warranty. 8.5 Seconds First page. The Brother DCP-1610W is stylishly designed and compact enough to fit onto a shelf or workstation. It produces outputs with the speed and quality you would expect from a more expensive machine. Print from anywhere using the Brother iPrint&Scan app. Max resolution dpi 5760 x 1440, paper input 100 (max sheet. Page Manager 9. 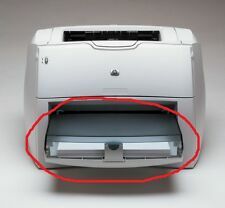 This printer also has flexible connectivity options, as users can connect the printer to their network via Wi-Fi. Dot Matrix Printers. ). Lexmark M1246 Product Details. Print Speed: Up to 46 ppm - B/W (ISO/IEC 24734). Networking: Print server. ENERGY STAR: Yes. Connections: 1 x USB 2.0 - 4 pin USB Type B ¦ 1 x Gigabit LAN - RJ-45. Expansion / Connectivity. Supports Win XP, XP Pro x64 edition/Vista/7/8/10 and Mac OS 10.6.8 . Efficient and affordable the XP-442 uses individual inks so you only ever need to replace the colour used. For added versatility, Wi-Fi Direct allows easy printing from compatible wireless devices without the need for a network connection. OEM DCP1610WVBZU1. Compact 3-in-one laser printer (print, copy & scan). Mono/Colour Mono. Printer Type Laser. Product Type Laser Toners. Colour Light Grey/Dark Grey. Brother QL810W Professional Label Printer, Compact, 110 Labels Per Minute, 176mm Per Second, 802.11b/g/n, USB. This advanced label printer is designed for the demands of a busy workplace, yet easy to set-up and use. We will always go out of our way to source the product you are looking for. USB Connection. Add to Favourites. Compact; efficient and highly economical; Kyocera's FS series printers are the ideal desktop printer for a single PC or small workgroup. Fast and quiet; they print the first page in under ten seconds after sending the job. The Citizen CX02 is 2kg lighter than the CX model and 15% smaller. Even so, it can still produce a lab quality photo print in just 8 seconds. Then there is the new ribbon reward function. Printing Technology Dye sublimation thermal system with overcoat. Compact Mono laser printer. During that process you will be issued with an RMA number. Brother QL800 Professional Label Printer. Quickly print labels from your PC or Mac with this high speed label printer. 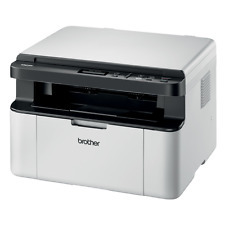 Brother Professional Label USB Printer. Alternatively, text saved in an Excel or. Lexmark C2425dw A4 Colour Laser Printer. 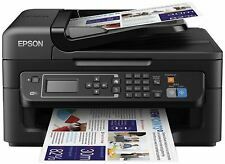 Built in Wi-Fi allows you to print easily from your smartphone, Google Cloud and the free Lexmark Print App, as well as many other devices and software. The high-quality Lexmark Unison toner's (included with the model) alongside a print resolution up to 2400 x 640 DPI ensures exceptional print throughout the printer's lifecycle. Enjoy fast wireless prints from smart devices with Canon PRINT app, MopriaTM, Apple AirPrintTM and Wi-Fi Button. Combine images from multiple smartphones with Party Shuffle. Vibrant and durable superb-quality prints are ready in less than 1 minute with dye sublimation technology.